We at Universal are proud to provide COMMERCIAL PRINTING SOLUTIONS and Offset Printing Solutions from india our QUALITY is Reflection of the rich inheritance we are bestowed with. 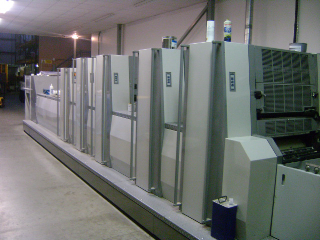 Universal has achieved a careful blend of the past inheritance with the Modern requirements in the field of printing. We have a list of satisfied customers, which is a reflection of quality and difference of our products. Business cards are cards bearing business information about a company or individual. Our stunning full colour universal business cards are printed onto high quality card in a choice of different finishes. If you've got a lot to say you'll love our new foldable business cards. Letterhead is just one part of a strong corporate identity of your company. Combined with business cards and envelopes, you can create a professional image for your company's correspondence. Well designed letterhead has a major impact on your marketing ability. Printed in amazing full colour onto thick paper, these cards can be used as invitations, tickets, postcards, mailers... You can choose from various paper finishes including gloss art, silk art and matt. Dimension of Postcards are 5.47*4.21 or 8.5*5.47 depending upon your selection. Universal keeps stock a range of standard envelopes sizes. We have summarized standard envelopes sizes for your convenience. These envelopes have a square flap & they are available in many colors and finishes with matching text and cover papers. A brochure (also referred to as a pamphlet) is a type of leaflet. Brochures are most commonly found at places that tourists frequently visit, such as museums, major shops, and tourist information centres. Brochure racks or stands may suggest visits to amusement parks and other points of interest. The label is the main source of information on the safe and effective use of a product. The product label must always be supplied with the container. Additional information may also sometimes be supplied as a separate leaflet. We're a full-service label printing company and one of the largest in the country. Printing Quality plays a major role for any kind of PRINTING, ranging from printed statiionery to modern designer wedding cards. We have the necessary infrastructure to provide our clients with the best possible exclusive and quality products. Our specialty is offset printing, screen printing, silk screen printing, color printing, four color printing, and printed wedding cards. 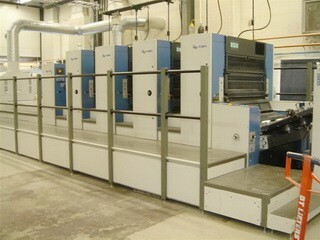 We provide all printing and other services under one roof. i.e. We are equipped with latest technology including Five Dominant Machines for multicolor.